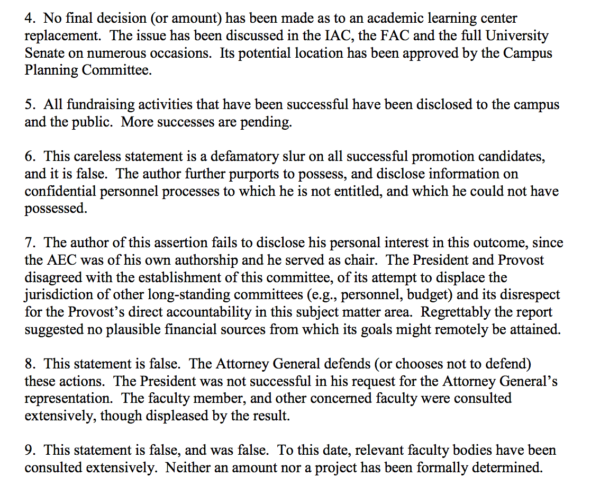 I gave it a quick read, and didn’t notice anything that would provoke HLGR’s William F. Gary into claiming defamation per se and demanding a retraction. I am deeply saddened to learn of the passing of Dave Frohnmayer. 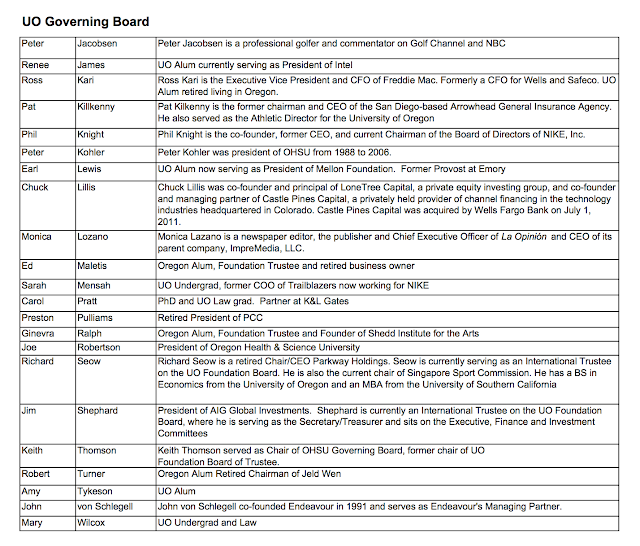 Dave was a friend, a former colleague and a valued advisor. I am honored to have witnessed how his profound collaboration and insightful vision built the University of Oregon into the top research university it is today. As a university, state and community leader, he had the ability to bring people together and build successful partnerships. That will be his lasting legacy. My deepest sympathies go out to his family and all who loved him, and there were many. Dave Frohnmayer passed away quietly in his sleep last night. He was 74. Dave had bravely dealt with his quiet battle against prostate cancer for 5 1/2 years. We are devastated by his passing but we are grateful that his passing was peaceful. Much of Dave’s life was devoted to fighting devastating health crises that enveloped his family. These battles were complicated by the intense public attention that inevitably accompanied his lifelong commitment to public service. He was adamant that his own health issues would remain private. Except for the immediate family and Dave’s closest friends, he was able to accomplish this and continue a full public schedule to the end. The family will hold a celebration of Dave’s remarkable life at a time to be announced. Dave is survived by his wife Lynn, his sons Mark and Jonathan, his daughter Amy, his sister Mira and brother John. His daughters Kirsten and Katie and his brother Phil predeceased him. Said school board Chairman Jim Torrey on Wednesday: “In this case, we believe our decision to bring legal action was in the best interest of the school district and the students within it.” Torrey declined to comment further on the lawsuit. 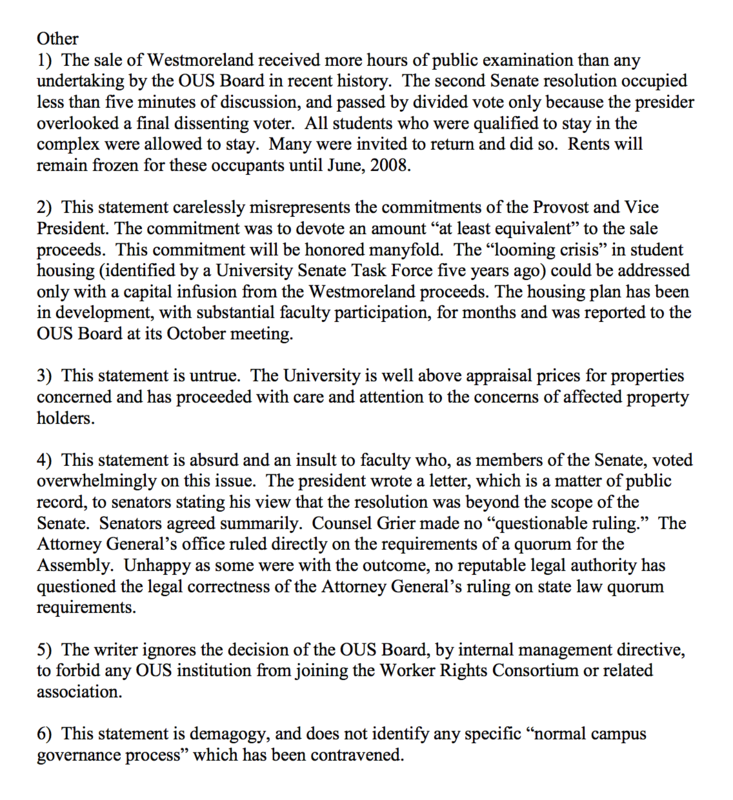 The board voted unanimously after a closed-door session on Dec. 17 to sue the newspaper. 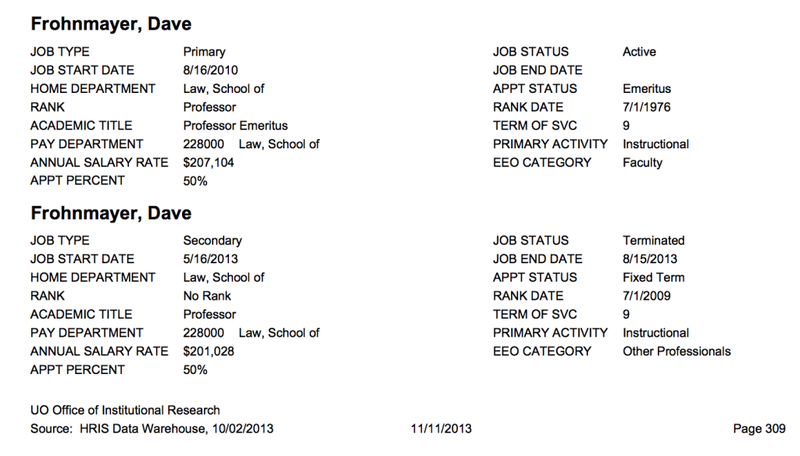 The district hired Eugene law firm Harrang Long Gary Rudnick to handle the case and the original records request, which was submitted in April. The school district has so far paid $11,956 since late April to the law firm for legal services in connection with the records request, a district official said. Christian Wihtol has the story in the Register Guard, here. In a nutshell, Lane County DA Alex Gardner has ordered Eugene’s 4J School District to turn records related to the job performance of Superintendent Sheldon Berman over to the Register Guard. The school district doesn’t want to, so they’re paying Dave’s HLGR to fight the order in court. Interestingly HLGR’s case is against the RG, not against the DA. I’m not sure that makes sense, but it’s the law. 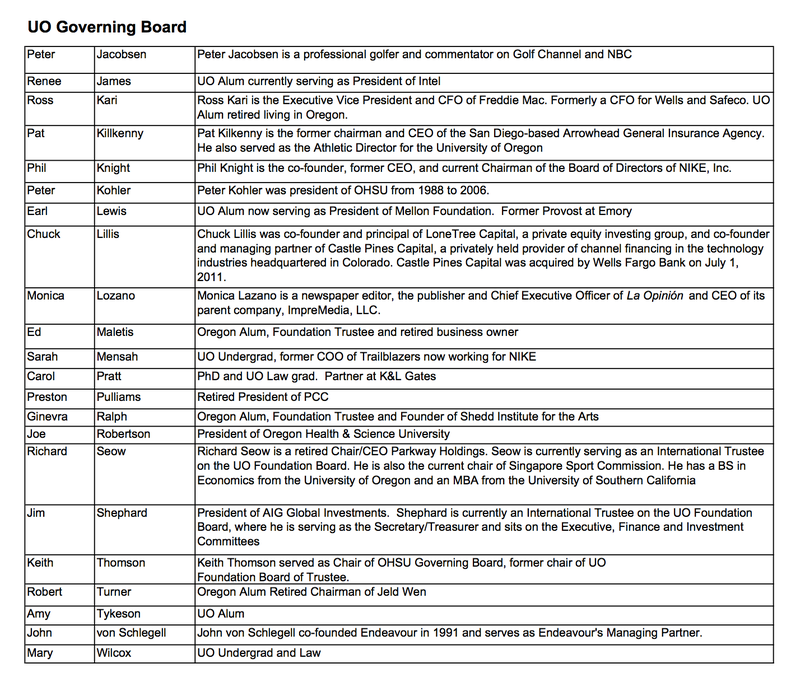 As it happens, former UO General Counsel and noted public records obstructionist Randy Geller now works for HLGR, while his wife, Jennifer Geller, serves on the school board. (She now works for the UO Law School). Presumably she recused herself from the decision to fight the DA’s order, and hire HLGR to do it. 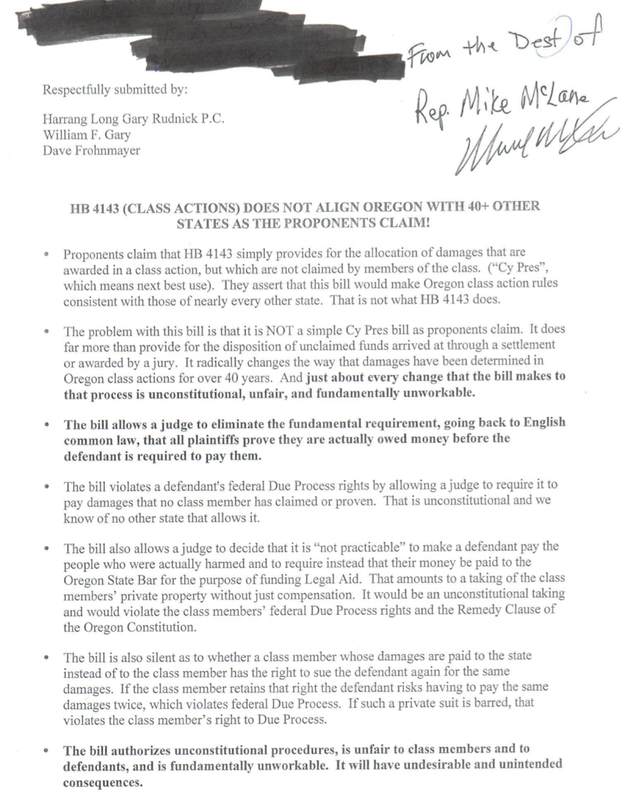 1) Defending big tobacco against the state of Oregon in federal court, here. 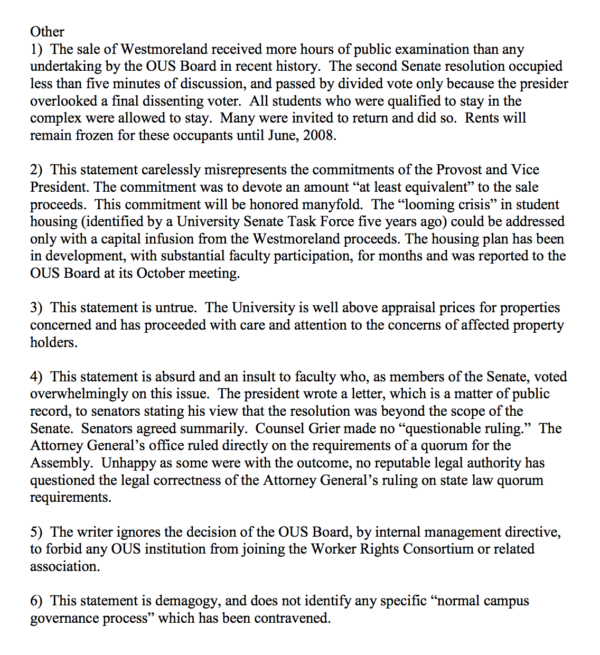 3) Helping Mike “The University” Gottfredson bargain against the UO faculty, here. “Around the O” has the details, here. There may be no résumé in Oregon public life more impressive than the one that belongs to Dave Frohnmayer. 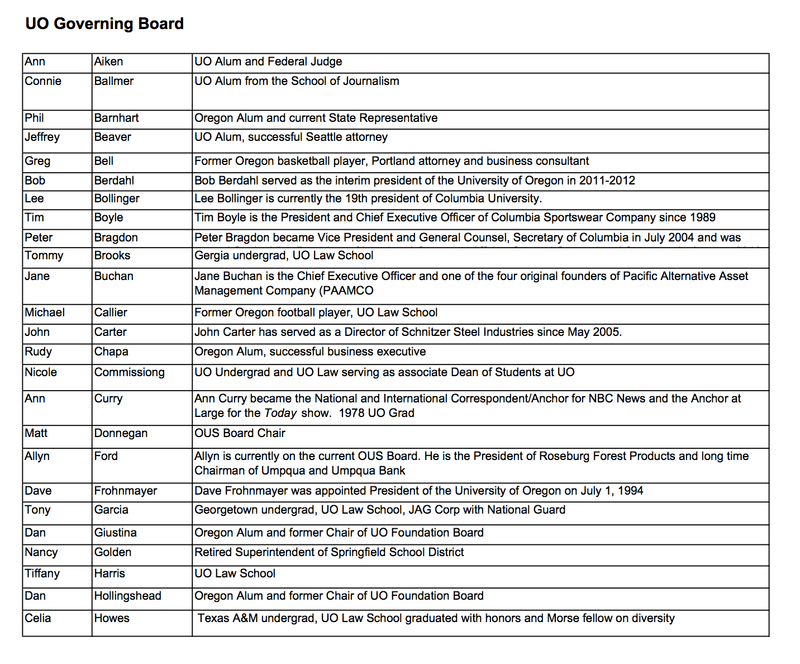 Rhodes scholar, state attorney general, University of Oregon president: Frohnmayer is regarded not only as one of the state’s top legal minds but as someone who has fought for the public interest in venues ranging from the Oregon Legislature to the U.S. Supreme Court. But Frohnmayer recently played another role far from the spotlight, as revealed in once-secret testimony in a major legal case against the state. In that case, major tobacco companies challenged the state of Oregon’s right to continue receiving payments under a massive tobacco industry settlement. 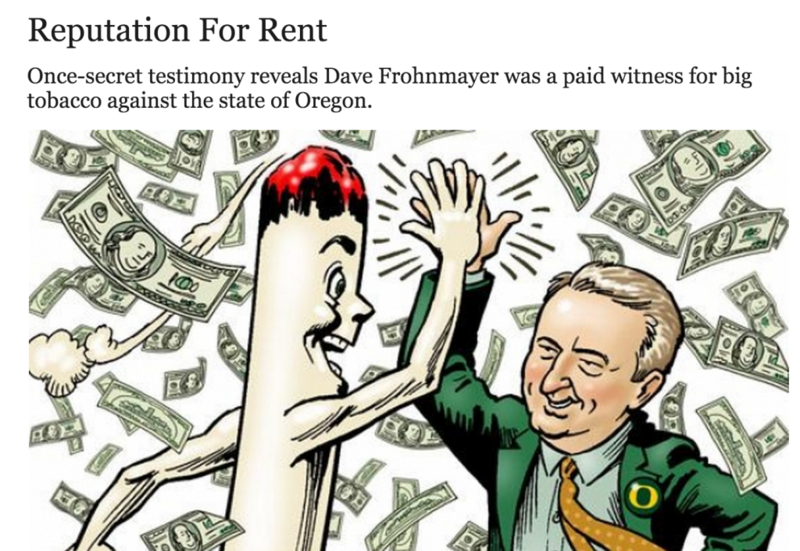 And the star witness and paid expert for Big Tobacco against the state of Oregon: Dave Frohnmayer. 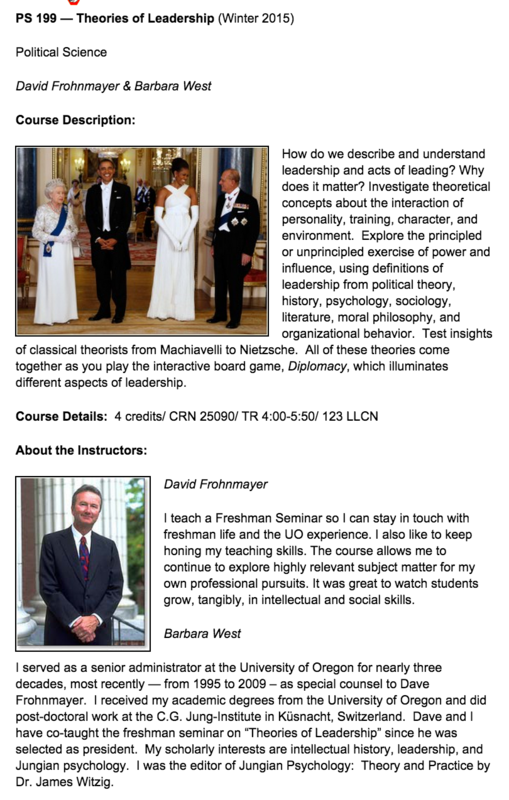 University of Oregon law professor and president emeritus Dave Frohnmayer recently was named to the executive committee for The Lincoln Project , an initiative of the prestigious American Academy of Arts & Sciences. What exactly does it take to lose the faith of the American Academy of Arts and Sciences? I think the board fired her a month or two ago. 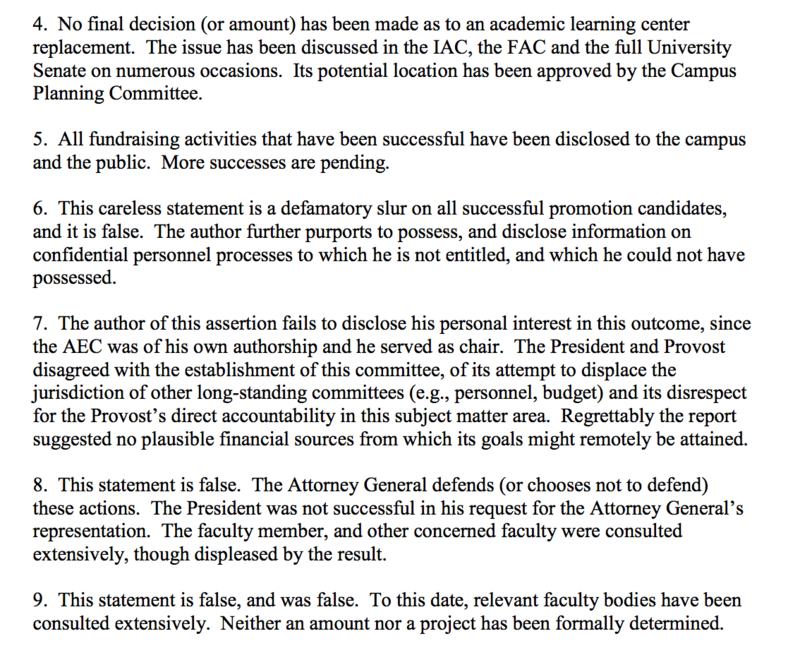 Margaret Soltan has more dirt on this, here.